Jacob, the Patriarch of the nascent nation of Israel lies on his deathbed. He convenes his twelve sons, the progenitors of the twelve tribes of Israel. He addresses them as a unit and individually. His language is flowery, poetic, prophetic. He chastises his first three sons, Reuven, Shimon and Levi. The remaining sons receive positive pronouncements and predictions. 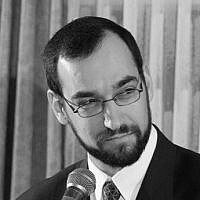 Rabbi Hirsch on Genesis 49:7 analyzes Jacob’s reprimand of Shimon and Levi. Jacob is upset with these two sons for their deception and brutality when they massacred the residents of Shechem. It went against the norms of justice and morality. Rabbi Hirsch attacks the popular belief that all is fair in statecraft. He claims that the concept that the end justifies the means runs counter to the principles of Judaism. What is reprehensible if done by one individual to another for their own personal consideration is equally reprehensible if done in the name of the state. Morality applies in politics and diplomacy. It is not only the purview of private affairs. “However, it is only the anger and outrage of Shimon and Levi that are cursed. The curse is directed neither against Shimon and Levi personally, nor against their aims as such. Government reactions of anger, outrage and deception, while understandable or even politically justified, are often ineffective or counterproductive as matters of public policy. Once we’ve identified the correct aims, we need to reach them through correct and straightforward means. May we have a leadership that will take the correct path, see that justice is done to those that promote and insight terror, and is not swayed by the political winds of expediency. In memory of Erez Orbach of Alon Shvut. God will avenge his blood.